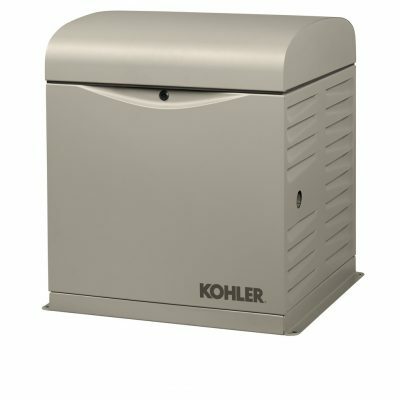 Kohler may be the name that first comes to mind when you think of a standby generator, and for very good reason. Kohler began manufacturing “light plants”, as they were then called, in 1920 to provide a reliable, easily refuelable source of 110 volt electricity to farmers and other rural customers before the Rural Electrification Act was enacted in 1936 and has been designing, improving, and manufacturing generators ever since. Kohler is well-known for keeping “close watch” over their production. They utilize “vertical integration” manufacturing to such a degree that virtually every part of the 14/20 RESA air-cooled home standby generators produced are built in-house; the engines, controllers, circuit boards, alternators, and enclosures. Kohler does this to ensure that the components, as well as the final product, meet the very strict quality standards that the company mandates for all of its products. The Kohler 14/20 RESA Home Standby Generators are powered by Kohler Command Pro engines that are quiet, smooth, powerful, reliable, and durable. These engines are commercial-grade and are designed and manufactured to start at virtually any ambient temperature and run under load for lengthy periods of time. The engines are electronically governed to maintain frequency under changing loads, have full pressure oil systems, automotive style head gaskets for longevity, and hydraulic valve lifters so that the valves never need to be adjusted. 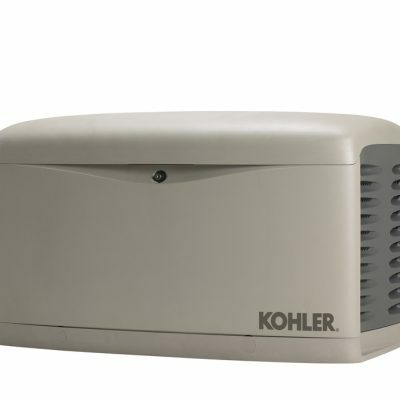 The RDC2 controller featured in the Kohler 14/20 RESA Home Standby Generators is advanced, versatile, and user-friendly. RDC2 is the brain of the entire emergency standby system, controlling the generator and the Kohler RXT automatic transfer switch. RDC2 has battery charging integrated, exercise, low speed exercise, digital voltage regulation (for exceptionally clean power, which is essential for many electronic controlled devices), alarm log, keypad inputs, Ethernet connector, 2 line backlit LCD display, and indicators for Utility Power, Generator Source Availability, and ATS position.